The Ubuntu Vodafone WebBook "Disappoints" Reviewer - OMG! Ubuntu! 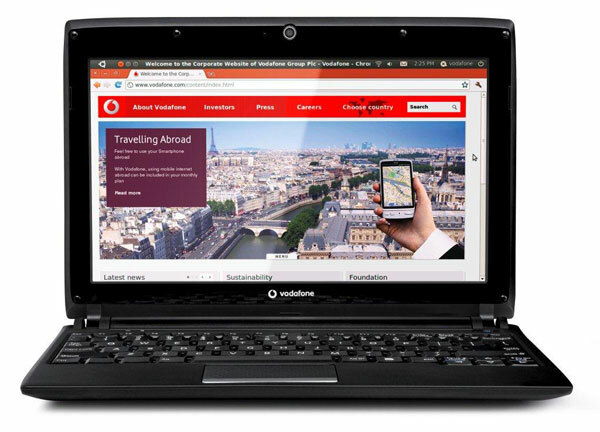 The Ubuntu-powered Vodafone WebBook has been out in South Africa for a few months but little opinion on the device has appeared online. Having exhausted my own avenues trying to get hold of one of the devices to review for OMG! Ubuntu! I was pointed in the direction of a write-up of the webbook by ‘GearBurn‘ – a South-African Technology blog. CrunchGear’s Stuart Thomas, in reviewing the netbook, doesn’t pull any punches, criticising the ‘plastic’ feel of the device, the ‘frustrating’ mouse buttons, and the ‘ridiculous’ boot time. Thomas does leave kinder words for Ubuntu itself which he calls ‘easy to use’, and praises the ‘super long battery life’ provided with the Webbook. There’s no denying that the underpowered and under-stocked nature of the device – which comes as a tradeoff to price it so cheap – does impact the performance. The provision of such measly physical storage doesn’t compliment the insanely rationed amount of mobile data bundled with the device – 100MB. In the video review, embedded below, you’ll see just how ‘laggy’ the interface is. I can’t help by imagine that the more recent builds of Ubuntu Unity 2D would fare on the same hardware – something that, should I ever lay hands upon a Webbook, I will be putting to the test. But, and it’s an important ‘but’, it’s vital to remember that the Webbook – and its data plan – is not aimed at a web-savvy user into heavy downloading and endless Skype calls. No, it’s purpose is simple: to give internet access to as many people as possible, as cheaply as possible. And slow boot time or not it succeeds in doing just that.